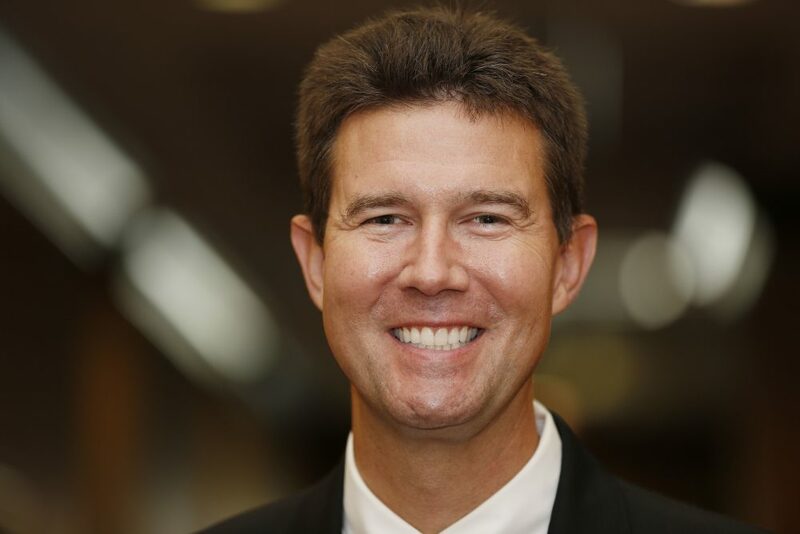 Alabama Secretary of State John Merrill (@JohnHMerrill) talks with Here & Now's Jeremy Hobson about his support for Roy Moore, who is running for a seat in the U.S. Senate and battling accusations of sexual misconduct with teenage girls when he was in his 30s. "Our original projections had been up to 25 percent, and then because of some of the things that happened, and people being less inclined to be enthusiastic about the race, we had lowered that expectation. But now, it seems like the enthusiasm has returned and I expect that we're going to have 25 percent or higher." "I'm voting for the Republican nominee, who is Judge Roy Moore. And I had stated on numerous occasions, both publicly and privately, that unless the charges that had been alleged by the women that came forward and brought those charges were proven to be true, that I would continue to support the Republican nominee, who happens to be Judge Roy Moore. "I have not examined the evidence any more than you have or any more than most of your listeners would have. And of course that's not what the most important thing is when it comes to me or my position. The most important thing to me is that I'm in a position to make sure that we have safe and secure and fair elections and that everyone knows that when their ballot is cast, it will be cast for the candidate of their choice. And we want to make sure that everybody's got confidence in the elections process, not who I choose to vote for, who I don't choose to vote for, because everybody's vote counts the same." "I have seen Judge Moore in the role as chief justice of the Supreme Court [of Alabama], as well as circuit court judge in Etowah County. And the things that have been introduced here in our state, and also introduced nationally, are things that I have found to be very, very unlike any behavior that I've ever known Judge Moore to exhibit. Judge Moore is recognized as a very controversial figure, in our state as well as throughout the nation. And there's an unbelievable amount of evidence to support that. If people have studied the positions that he's taken when he was removed from the court in 2003 and when he was removed from the court more recently in 2011, 2012 you would see that he is a very controversial figure, there's no doubt about that." "We want to make sure that we have someone that will hold the integrity of the Constitution of the United States. We want to make sure that we have someone that will support the issues that are very important to the people of the state of Alabama, which include but are not limited to the right to keep and bear arms, the right to life, the right to have independent decision making, at the state level. Things that are so very important to so many Republicans who believe that the less governance that we have the better off that we are. And we believe, as Republicans, that individuals who have that type of conservative philosophy are more suited to represent our state in Washington than those that don't have those type of philosophies." This segment aired on December 11, 2017. We Ask Alabama Voters: Who Are You Voting For In The Special Election?